Authors: Sushentsov A.A., Silaev N.Y. The article is devoted to the analysis of the development of the Ukrainian crisis in the short term. It presents the analysis of four possible scenarios for the development of the crisis and its consequences. The forecast task is to help decision-makers mentally put themselves in a situation in which realized one of the scenarios for the future and to encourage them to calculate their possible actions. In the preparation of this forecast the scenario analysis tool was used: the allocation of two key variables, the ratio of which determines the spectrum of the analyzed scenarios. 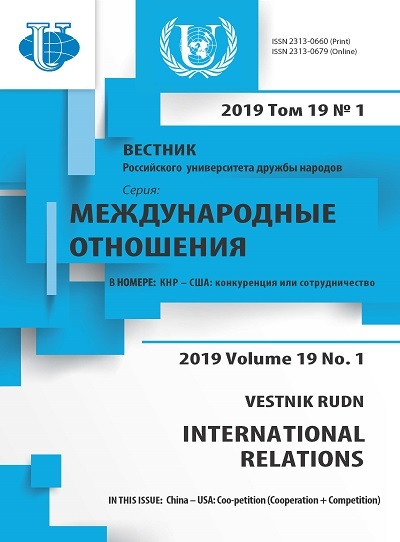 In this analysis authors selected the following variables: a measure of the West’s support of the current government of Ukraine and the domestic political stability of the government P. Poroshenko. 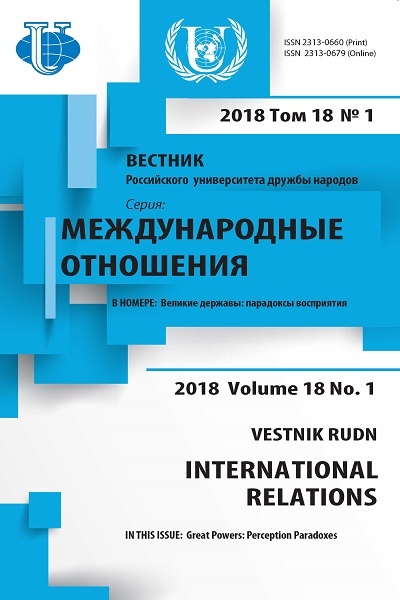 Although support from the West plays an important role in strengthening the domestic political position of President Poroshenko, and the failure of the Ukrainian authorities in the future can weaken the West’s readiness to support them, the authors consider it possible to recognize these uncertainties as independent of each other. The ratio of the two variables gives four scenarios for the development of the situation. The described scenarios may not be implemented in a “pure” form. Political reality will be a result of combination of them, leaning towards one of it. The authors consider their task not as “predicting the future”, but in structuring it, presenting the range of its options. The authors give a list of event-markers, which will indicate the implementation of a particular scenario. The authors come to the conclusion that in the coming years the future of the Ukrainian crisis will be limited by two key constants - a big war and a deep political settlement are equally unlikely. A long-term solution to the Ukrainian crisis is not yet visible. Most of the external participants in the situation take a wait-and-see attitude, watching which faction will win in Kiev. It can be stated that the key process of the near future is the formation of stable status-quo frameworks, in which the crisis will freeze for one or two electoral cycles. Ukraine, CIS, Ukrainian crisis, Minsk agreements, international security, forecasting, uncertainty of the future, Russian-Ukrainian relations, analytical simulation, scenario analysis. Chernega, V. (2015). Ukrainian lesson. National interest. URL: http://ni.globalaffairs.ru/ukrainskij-urok/ (accessed: 24.04.2017). (In Russ.). Charap, S. & Colton, T. (2017). Everyone Loses: The Ukraine Crisis and the Ruinous Contest foe Post-Soviet Eurasia. London: Routledge. Danilov, D.A. (2015). The National Security Strategy of Ukraine: possible consequences for Russian-Ukrainian relations. Analytical note N 12. Moscow: IE of RAS. (In Russ.). Gushhin, A.V. & Markedonov, S.M. (2014). Russia and Ukraine: a corridor of opportunities. Russia in Global Politics, 6. URL: http://globalaffairs.ru/ukraine_crysis/Rossiya-i-Ukraina-koridor-vozmozhnostei-17137 (accessed: 07.02.2018). (In Russ.). Kiryukhin, D. (2016). Russia and Ukraine: the clash of conservative projects. European Politics and Society, 17(4), 438—452. Kurylev, K.P. (2014a). Foreign policy of Ukraine in the context of the formation of a European security system in Europe. Moscow: Izd-vo RUDN. (In Russ.). Kurylev, K.P. (2014b). International security and the Ukrainian crisis. In: Ukrainian crisis: causes, evolution, lessons: Coll. of sci. art. in 2 parts. Ed. by B.A. Shmelev. Moscow: IEE of RAS, P. 2, p. 52—67. (In Russ.). Legvold, R. (2016). Return to Cold War. N.Y.: Polity Press. Loshkarev, I. & Sushentsov, A. (2016). Radicalization of Russians in Ukraine: from «accidental» diaspora to rebel movement. Journal of Southeast European and Black Sea Studies, 16(1), 71—90. Mearsheimer, J. (2014). Why the Ukraine Crisis Is the West’s Fault. Foreign Affairs. URL: https://www.foreignaffairs.com/articles/russia-fsu/2014-08-18/why-ukraine-crisis-west-s-fault (accessed: 24.04.2017). Mironenko, V.I. (2017). On some aspects of the annual message of the President of Ukraine Petro Poroshenko. Modern Europe, 1, 143—148. (In Russ.). Rojansky, M. & Minakov, M. (2015). The New Ukrainian Exceptionalism. YaleGlobal Online. URL: http://yaleglobal.yale.edu/content/new-ukrainian-exceptionalism (accessed: 24.04.2017). Sanders, P. (Ed.). (2014). Cost of a New Cold War: The U.S. Russia Confrontation over Ukraine. Washington: Center for the National Interest. Sanders, P. (Ed.). (2015). The United States and Russia after the Ukraine Crisis: Three Scenarios. Washington: Center for the National Interest. Sushencov, A.A. (2016). As in the sea ships. Russia and Ukraine: Refusal from Mutual Dependence. Russia in Global Politics, 14(2), 54—67. (In Russ.). Copyright (c) 2018 Sushentsov A.A., Silaev N.Y.